I spend a lot of time talking about BIG wins (like salary negotiation) instead of incremental cutbacks on lattes or paper towels. The “big win” mentality is how hundreds of my students have landed their dream jobs, dug out of debt, and outperformed their peers in countless situations. But big wins aren’t always easy—especially when you use an unconventional approach. Sometimes we get criticized by our peers or even find ourselves at odds with cultural traditions. What do you do then? How do you stay focused when people expect you to fail? Jay Cross, creator of the Do-It-Yourself Degree (and my former editor at IWT) has written a guest post about putting effectiveness before ego. He offers a powerful framework for dealing with haters, staying motivated, and using contrarian methods to achieve your goals. He doesn’t tell you how to AVOID criticism. (That’s easy: Say nothing, do nothing, be nothing.) Instead, he tells you to EXPECT criticism, ignore it, and focus on the results. You need to test your assumptions instead of letting others think for you. Jay has a keen insight into what motivates people, and I think you’ll enjoy his post below. We love to romanticize contrarians: people who do things differently and accomplish what no one believed was possible. It’s why we cherish Galileo and Charles Darwin, who advocated controversial ideas that society did not want to accept. It’s why we celebrate the Founding Fathers, who overthrew an oppressive government instead of obeying it. It’s even why we admire risk-takers in our own lives, like a gutsy co-worker who calls out the boss when he’s wrong. We get an emotional rush just hearing these stories, and with good reason. Contrarians are life’s change agents, the social jackhammers who challenge stale traditions with fresh thinking. While others mimic Niedermeyer from Animal House (taking whatever life gives them with “thank you sir, may I have another?” passivity), contrarians refuse to stay silent when they discover a better way. We often wish we had the courage to do that…but it’s not easy, is it? Even when we’re sure we’re right, the moment of truth comes, and we fold—often because we fear criticism. Social psychology experiments have shown that we will change a test answer we know is correct…simply because the people sitting next to us changed their answers. We are instinctively afraid of going against the grain…and the greater the stakes, the greater the fear. Most people believe contrarians (especially famous ones like Steve Jobs) are simply born without this fear. They use phrases like “ice in their veins” to describe the cold, bulletproof personalities contrarians supposedly have. For most of us, though, contrarianism is something we can cultivate. Just as a muscle grows stronger with exercise, your willingness to break from social norms and test new approaches will expand with practice. It just takes a new emotional framework to fall back on. Today, I want to show you that framework. Instead of simply applauding you for revering contrarians, I am going to encourage you to BE one—to actually try the “radical” or “crazy” things you’ve long believed would work—by revealing the fascinating inner psychology of anyone who ever dared to think differently. I call it “The Contrarian’s Cycle of Criticism, Acceptance, and Awe.” And it’s about putting effectiveness before ego. Once you understand the emotional trials every risk-taker experiences, you will push straight past your fears, driven by the amazing results waiting for you at the end. Allow me to tell you a personal story of my own struggle with the Contrarian’s Cycle, and then deconstruct it using the cycle itself. I ran straight into these fears when I discovered the Do-It-Yourself Degree approach to graduating. Rather than taking years of classes and racking up massive student loans (like 90% of students do) I learned that I could finish my bachelor’s degree by taking tests instead. Classes cost $3,000 and up—often much more—but the tests cost just $80-$100 apiece. Result: you can earn a bachelor’s degree in 1 year or less for under $5,000 in testing fees. The best part? It’s a totally self-managed approach. You graduate as fast as you are willing to work. I was fascinated by this. Not only would it solve a major problem in my life (I had been frustrated with the class schedules at my school for years) it also seemed like an incredible opportunity for students like me, who felt “locked out” of the traditional college system by time or money. I knew these criticisms were irrelevant on an intellectual level. As a writer and entrepreneur, no one cared where I went to school. I had already landed incredible positions—including working for Ramit—while I was still in college. Today, I manage data visualization projects for companies like Intuit and Cisco. The DIY Degree approach isn’t “the easy way out”, either. It actually takes even more dedication, because you are totally on your own and each test covers a full semester in 3 hours. Yet, even though I knew all of this…those comments still cut pretty deeply. It’s easy to ignore harsh critiques from a stranger, but not from someone you respect. It was enough to make me second-guess my plan…briefly. In the end, I decided that Chloe was dead wrong. True, the DIY Degree approach wasn’t the best way for everyone to graduate. But I wasn’t everyone. I was a self-motivated producer who had done more without a degree than most did ten years after graduating. And either way, having the word “UConn” on my resume did not justify a mortgage-sized loan to me. All I cared about was my degree being legitimate and respectable. So, instead of folding, I pressed on and earned my DIY Degree as planned. Once she saw that I was serious, Chloe’s criticism quieted down, and soon after I graduated she reversed her position completely. What happened here? Is there a predictable pattern that nearly all similar situations follow? What I went through was a version of The Contrarian’s Cycle of Criticism, Acceptance, and Awe. First, Chloe criticized my decision, pushing every emotional button she could to talk me out of it. This happens to virtually everyone who tries a new approach to an old problem. No matter how sound your logic, no matter how persuasive your arguments, no matter how successful you’ve been in the past, something about new approaches just makes people uneasy. They are emotionally invested in “the usual way” and, in some cases, have based their very sense of self on it. “Why don’t you just do [THE USUAL WAY] like everyone else? “Sure, it sounds good, but that’s not how the “real world” works. Then, once she realized I was doing this no matter what, she accepted it. Acceptance is not support, though. She still (as will most at this stage) fully expected me to fail. She just knew vocally opposing it was pointless now. Finally, once I received my degree and proved there was nothing shady or weird about it—and that all I had done was graduate faster—Chloe was awed by my results. You will notice this, too. After the benefits of your “crazy” plan begin to materialize, the whole game changes. I want to share three inspiring examples of famous risk-takers who made this cycle work for them instead of against them. What His Peers Did: Spent every dime competing for the same flashy superstars every other team wanted. What He Did Differently: Used statistical analysis to identify boring, “no-name” players with massively undervalued skills. The Results: Beane’s teams made the playoffs 5 times between 2000-2006, despite losing star players to richer teams and spending less per victory than any team in Major League Baseball from 1998-2008. What He Did Differently: Crafted emotionally charged, attention-grabbing stories (like his famous “One-Legged Golfer” ad) to hypnotically drive sales. The Results: Today, John is known as “the most ripped-off writer on the web” and charges fees that cause unprepared clients to choke. “The best thing that ever happened in my career was to meet The Boys — those clients who lured me into working with them by promising to run everything I wrote, as I wrote it. No whining, no tears, and they took all the heat from outraged audiences and pissed-off talent. They stood their ground with me for over 20 years, because I only used solid fundamentals when I wrote for them… including, of course, the fundamentals of killer hooks and jaw-dropping storytelling… and it worked like crazy. Over and over and over again. What His Peers Did: Ran the same predictable, pass-heavy offense as every other NFL team. What He Did Differently: Used a different offense called the “run-pass option” that was much tougher to defend. What The Critics Said: Football pundits used Tebow’s below-average passing skills to conclude that he would “never succeed in a passing-dominated league” and was not a “real NFL quarterback”…even as he kept winning. The Results: Kerry J. Byne devised a new statistic (Real Quarterback Rating) to measure ALL aspects of QB play: not just passing, but also rushing, sacks, fumbles, and other metrics under QB control. What is the common trait? Each of these trailblazers decided that effectiveness (the long-term RESULTS of their unconventional plans) mattered more than their egos. And they were vindicated in the end. Contrarians need motivation, too—often much more, in fact. But their motivation comes solely from themselves and the results they are after. Not only do they create their own motivation, they frequently do so amidst harsh criticism and a complete absence of outside support. Followers are innocent until proven guilty: cheered on from beginning to end. Contrarians are guilty until proven innocent: cheered for only when their plans work. Does this make it difficult to keep moving? Of course! It’s easy to feel motivated when you’re an engineering student, lining up a secure project management job like your father. It’s a lot tougher when you’re an aspiring musician, painfully aware your parents wish you were doing something else. But if you want to achieve extraordinary results, you need to put effectiveness before ego. The reason I followed through with the DIY Degree is that I saw Stage 3 before starting Stage 1. Instead of crumbling under criticism, I made a calculated bet that my plan would work. Most importantly, I decided my plan working was the only thing that mattered. The beauty of this question is that it forces you to ignore everything other than results. If you discover a better way to do something (earn more money, land a dream job, graduate college) then “but we’ve always done X” should not stop you. The Naive Question establishes a Darwinian selection process where only the best ideas survive. Again: sometimes the answer to The Naive Question is a resounding “yes!” As Tim Ferriss wrote in The 4-Hour Work Week, “I don’t walk down the street on my hands because everyone else walks on their feet.” Contrarianism only works when your way is demonstrably better than the norm. Frequently, however, it is. Consider the age-old “renting vs. buying” debate. We love telling ourselves that home ownership is an investment and that renters are just “throwing their money away.” Yet we almost never run the numbers! When we do, we discover that home ownership is anything but a good investment. Indeed, it parasitically drains your net worth with “invisible costs” like maintenance, property taxes, and homeowner’s insurance. The invisible scripts of American culture tell us to buy…but renting vs. buying is actually an “effectiveness or ego” question. Do you simply want a cost-effective place to live? Or are you more concerned with social status? If you’ve never run the numbers (like comparing home price appreciation to stock market returns) ask yourself what the answer is. Contrarianism is not simply about “sticking it to the man.” You need not be rude, disrespectful, or insensitive. It’s actually about living a better life—whatever that means to you. 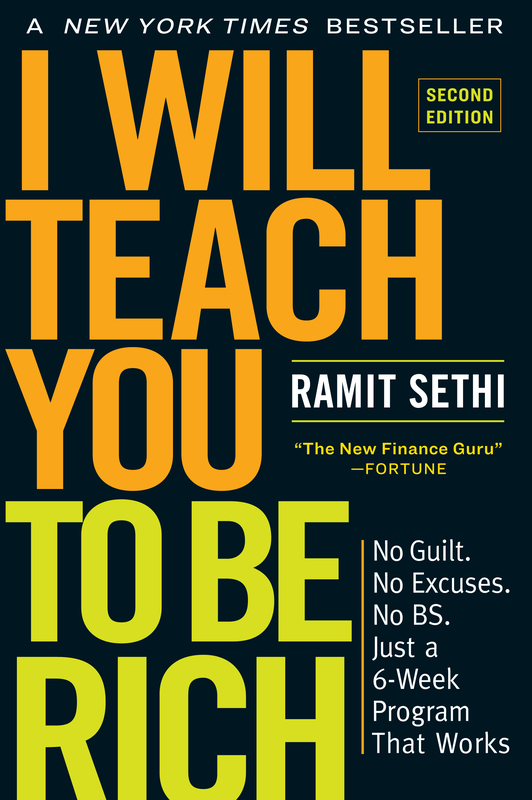 Think about the strategies Ramit teaches: they are all contrarian. Most people are not ambitiously creating side incomes, or setting up automated financial systems to grow their wealth, or using advanced research, networking, and psychology to land their dream jobs. They certainly are not using the DIY Degree to graduate in ¼ of the time, like I teach my readers. But the people who do get massive results —because they were willing to put effectiveness before ego. Learn more about the power of taking action — watch my video here. What are the one or two biggest “contrarian changes” that, if implemented, could have the biggest impact on your life? Small example, but I switched to a regimen of low carb eating, intermittent fasting, and sprinting for dealing with a number of health problems. For months on end I was accused of having an eating disorder and, of course, not doing what “normal” people do. I’m lucky however that this was a small minority; my friends are very self-selecting and thus are unusually open to contrariness. This is one of my favorite posts in awhile (no offense Ramit!). I can’t think of anything contrarian that I’ve done, but when I entered undergrad I quickly discovered that one of the reasons my peers were not graduating sooner was because they didnt pick a major and stick to it. They were guided by their interests and emotions, change their mind halfway through and start a new major, while I just wanted to graduate and get on with life. So I picked a major early, one that I enjoyed and I thought would give me some decent analytical skills, and didn’t look back. I wanted my diploma, and I didn’t want to waste a lot of time getting there. I was set to graduate a year early (including a few credits for AP classes) but then I had some family disasters that required me to take some time off. I still graduated in 4 years despite some major setbacks. I probably could have done it in less than 3 if I had really applied myself during summers and winter breaks. Now I’m entering grad school (in a discipline that requires you be licensed, so grad school isn’t something I can avoid) and already looking to see what I can do to minimize my time. 1. For years I never got great results with workout programs before switching to Stronglifts 5×5. Basically you do 5 sets, of 5 reps of 3 complex exercises (squat, bench, deadlift) 3 days a week. Workout sessions typically take 45min. I never got more ripped, strong, and felt better in my life. Meanwhile many people thought this method would not work due to the low variety and workout days, believing you have to either do “insane” workouts like P90X to get in great shape or go to the gym more. 2. Everyone tells me “network! network! network!” Basically play a giant numbers game until you meet interesting people. I would like to find a better way to meet interesting people by identifying better strategies for putting me in position for meeting the “right people” or social connectors that can introduce me to people, rather than running around like a chicken with my head cut off. I followed the exact same weight routine about a year ago and got ridiculous results. It’s quite amazing, and contrarian, to do less, much less, and gain so much more over the long run when it comes to strength and fitness. You’re absolutely right about students taking forever to graduate. To some extent, I blame the schools: they are happy to let students meander around because they stay longer and pay more. It’s great if you want to experiment, but there’s a lot of wasted motion if all you’re trying to do is graduate and start your career. 1. Relationship management, and I don’t mean just Relationships. Not keeping score, not obsessing over net benefit to me from my relationships with others, offering forgiveness generously, and in advance, and in retrospect. Apologizing for injuries even when I wasn’t in the wrong, which led to apologizing sincerely without worrying about who was in the wrong. What I heard: you’ll attract emotional parasites, you’ll be drained of energy, you’ll (in some ill-defined way) get less than your fair share. What happened: richer relationships that moved through deeper and deeper levels of connection, simply because at least one party to the relationship was able to halt the cycle of obligation and debt that defines most friendships. I have a theory that this has had some ripple effects beyond my friendships, too. 2a. Writing. Not to read writing tips, or worry about networking with industry people, or obsess over whether I should get an MFA, or compare timelines with other, more well-published writers of my acquaintance. Instead, just to write every day and submit material on a regular schedule, in the awareness that more publications come from better writing. 2b. Networking. As noted in Kevin’s comment. No “networking,” just cultivation of genuine interest in other people’s lives and goals and talents, and of willingness to meet new people and go to new events beyond my usual sphere. Great article. I’m moving forward with my caramel business even though half my peers think I’m wasting my money. Great Ramit! Almost as good as your classic ‘ barriers’ (I still think of your mom’s indian food in your fridge). I went off the beaten track w/ my 21 yr old daughter. She had grad from a snooty high school where all the kids were college bound and loan bound with fuzzy majors. She hates reading ANYTHING! But is incredibly strong and hands on. Dragged her to cdl truck school and she is having a ball! All the other ‘students’ are in their mid thirties and think its the greatest thing in the world for this ‘kid’ to take on this challenge. Its a start- and man talk about flack. But I shudder @ all these college grads- NO jobs. I work in science. It is common and easy to get attached to a method or theory that you worked out and dismiss critical or opposing work. I try very hard to value good science much higher than “my” science, even if it originated elsewhere – not really contrarian but maybe considered impractically idealistic in a competitive and inevitably political environment . This has lead to a fruitful development of lots of interesting new problems and perspectives that I’m involved with, plus respect from a number of scientists that I think do excellent work themselves – including many that I’ve “battled” with..
Just yesterday I was watching an interview of Sara Blakely, creator of Spanx, who recently made it to the Forbes Billionaire list. She said that when she came up with the idea of Spanx, she was working on it at nights, for 1 year, IN SECRET. She didn’t tell her friends or her family. She said she did that to protect her vulnerable newborn idea from a premature death due to criticism. Derek Sivers wrote an interesting piece about the psychology of sharing ideas, and why it’s better to keep quiet (telling people satisfies our self-identity just enough to pacify us). Definitely seeing an increase in people on-line teaching specifics HOWS. It’s a good time to be a teacher. I look forward to taking full advantage of what the top performers are teaching. talk about naysayers, check out my story. Selling textbooks as a business in college. ramit included it in one of his ‘dumbest college business ideas’. I’ve made enough to pay for a whole years spending by just calling the publisher, asking which books are coming out with new editions and not not buying them! That’s a really refreshing way of looking at it – educational paradigms are definitely shifting. I can’t say that would have worked for me, though. Media is a particularly practical field, and my degree reflected that. There were some essays, and a few tests, but largely it was about real assignments and real projects. Possibly these are projects one could have gotten into on their own and software one could learn on their own, but another part of the degree was connecting to industry – connections that would be tougher to make on your own. Biggest contrarian change that can change my life if implemented: let go of the allure of supertracked jobs in established industries with predictable compensation like big-company engineering and medicine, and embrace jobs at new/smaller/less-proven companies with more growth potential and then playing my cards so that I’m more attractive to the market even if the company implodes. and (2) I can’t measure the “effectiveness” of embracing more risky, less-tracked jobs at new/smaller/less-proven companies in a way that convinces myself and provides me the internal motivation to be a contrarian. True, I question the utility of sticking to supertracked jobs in traditional fields but I still stick to the traditional belief because I don’t yet see the utility of being a contrarian. I joined the Dream Job program because I saw the effectiveness in Ramit’s job-hunting system, though I didn’t care if it was contrarian or not. I’m heading in the correct direction of being an effective contrarian, but I still feel terrible and uncertain for even trying the DJ system. Part of me still refuses to believe that I will ever find anything more attractive than a traditional, supertracked job even as those jobs become less and less attractive. I hope that one day I can meet my high school classmate turned doctor, drop my own 6-figure salary or 7-figure net worth (which I got for being an effective contrarian), and tell him to SHUT IT. That would feel so good! 1. I left a great university after my first year, to re-orient my life, despite all the naysayers that thought I was going to destroy my chance of success. I am certainly on the way to becoming self-employed and self-educated without a degree – although I am certainly looking into the DIY Degree option for the sake of appearing ‘qualified’ (just sent an email to my local uni actually). The strange thing is, I don’t feel as though I am going against the grain anymore. Certainly when I left uni there were a lot of protests, but I am in the acceptance stage now where the ‘haters’ are silent, and my interactions have been filled with people that are living or building the 4HWW life. I now feel like if I went and got a degree and then a 40+ hour job, I’d be the contrarian! As someone else made the comment, I switched my weight routine to a simple 5×5, with 3 basic exercises, and scaled back on pushing to “failure,” significantly. I got stronger (at least on the lifts I was doing) and felt great afterwards. I actually felt guilty while in the gym and seeing the meat heads doing endless curls and other worthless arm exercises, but I couldn’t argue with the results. Now I’m doing strictly body weight exercises and getting unexpected results, such as weight loss without changing my horrible diet :). I’m not sure I’m smart enough to “invent” something contrarian. I’m usually the one going against the grain just because it’s fun (for me anyway) to go against the grain. Yes, I’m that guy. I guess developing a way to live “off the grid” as much as possible is my current project. Vague, I know. Great article! The idea of investigating cultural norms, and then challenging the ones that don’t make sense, is great advice. It demonstrated that “being contrarian” and different is not enough if the economics don’t make sense. Do you have a good framework for testing your “contrarian” ideas? The point is *not* to do something in a different way in order to go against the grain. The point is to come at a problem from a bottom-up approach – what things might actually help solve this problem? Sometimes the answers bear a lot of resemblance to the ‘standard model’ – for instance, marriage is (for most people) a really good strategy for raising children, better (again, for most) than single parenthood or non-married dual parenting. There’s nothing wrong with discovering that sometimes the ‘creative’ solution converges with the conventional solution, but it’s worth taking the time to ask those questions from a naive point of view. Interesting post.. It reminds me of my college days. I was an engineering major at a large prestigious state school and I couldn’t believe what a joke most of the teachers were. I was paying tuition to teachers who just read straight out of the book for lectures and assigned countless hours of impossible homework. During my last two years, I stopped going to class and doing homework, and instead started studying on my own and preparing only for the tests. My gpa jumped almost a full point in my last two years when I was taking my hardest classes! I know this might not work for everyone, but I was very diligent about studying. I didn’t skip class and hw to go fart around, I went to the library and studied on my own.. I often decide to spend the time on it anyway. Sometimes I’ve gotten yelled at for working on these things, when they find out. Sometimes I’ve then shifted to working on them on my own time; sometimes I’ve kept working on them anyway. As long as I get my other stuff done, I get away with it. But every time I’ve decided to spend time on it anyway, risking the displeasure of management, it’s been one of my greater successes. Once it took a year before the problem came up and I pulled the finished design out of my bottom desk drawer and said “This thing you told me not to work on, that’ll fix this. We can do it, and here’s the plan all laid out.” Even after I finished building the thing, management was saying they weren’t sure it was worth my salary for the time it took. Many years later, it’s still working well for them, and is still saving them piles of money, though I’ve long since left that company. Some of those same ideas are the ones former bosses have mentioned in recommendations as some of my greatest successes working with them. Yeah, it can be a risk. If it’s a calculated risk, with a reasonable expectation of success, it’s probably going to be worth it. Even if it fails, you learn a lot. And if it succeeds… You come out looking like a star. LOVE STORY ON TIM TEBOW-THINK DENVER MADE A BIG MISTAKE- I NEED TO CHANGE OUT OF MY SAME SAFE ROUTINE…..HAVE A NICE DAY ON PURPOSE! I love your story. Been there many times myself. Never lose that spirit! The framework depends on the idea in question. In my case, I did a ton of research (not just online reading, but also calling up colleges and cross-referencing what people told me to assemble a complete picture.) Before long, I had all the information I needed to feel confident. Plus, in many cases, you can roll out new ideas little by little. If early feedback is negative, tweak your approach or abandon ship. When I worked at an engineering firm (before becoming a freelancer full-time), we had to run several calculations and create reports from those calculations. Much of the process involved scanning through large data files and doing tedious computer tasks. So I started creating scripts to automatically pull out the needed data and put the reports together. The first time I shared what I was doing to our group, I got shot down. They said I wasn’t following the standard procedure for developing software (which involved an unreasonable amount of effort and paperwork for a simple tool). On another project, I released a tool that automated a big part of the reporting. People were skeptical until they saw that it would save them at least 5 hours of work per report (and the group was creating over 100 reports). The tool eventually became part of the standard workflow. A few months later the project got canceled and several people were let go. Despite the worries of several of my colleagues about loosing their jobs, I never felt a reason to worry. Being contrarian is like my friend who refused to buy real estate before 2008. On the other hand, it also means finding good deals on real estate in recent years. He bought a condo in the Bay Area and pays less total than he would to rent an equivalent place. He bought another townhouse and makes a profit every month from renting it out. For myself, I’m experiencing the criticism and “acceptance” stages from people. Everyone I run into seems to think I should jump into looking for a job now that I’ve been partially recovered from illness for like a month. I say I’m working on my health first and not looking for a job right now, so get met with puzzled you’re-a-slacker-bye looks. First, even if I were to look for a job ASAP, I need to spend a few months relearning how to program and building a portfolio so I have something to show in the job search. Second, these people, some of whom I just met, don’t care to think or ask about my situation before assuming what I should do. It would be more effective for me to prioritize improving my health as much as possible first. This is long term vs. short term gains. Trying to work a full-time demanding job when I can’t yet even sit up 8 hours per day would probably stall my recovery. Next, I’ve always wanted to start my own business. Since I’ve been out of the work force for several years already, it wouldn’t affect the gap on my resume any more to take one year to work on starting my own business. Thank you for the information. I really like it. Four years ago I had extra weight and it continued to gain. I decided to change my lifestyle. At that time no one encouraged me, i was alone and very disappointed. However, I decided to go till the end and found a dietarian who started to teach how to choose a healthy food, how to cook it. Excess weight were gone. Even at that time there were people that coontinued criticised me.Today I cook myself, I live health life, no extra weight, no worries about it. I am really proud of me. I changed my life and did it alone. Great article, with some really good advice. My husband and I had 2 kids and we each agreed to save for them to attend college. I would cover my daughter from my first marriage, while he would cover the daughter from our marriage. My older daughter went off to Georgetown University, with the help of my savings, academic scholarships, and a tiny loan (long paid off now) and is currently in Europe working on her PhD (at what seems 1/100 the cost of getting it in the US). She is debt-free. A year before my younger daughter went to college, I asked my husband how much he had socked away in her 529 account, so I could help her pick an affordable school. His answer? He forgot to save…anything! Determined not to saddle my younger child with debt, I got creative. In our state, you can attend two years of community college, if you specifically take BA or BS degree courses, and have those credits apply 100% to any college in the state. Boy, did everyone raz me about sending my kid to a community college! But that gave me 3 years to save up for her final 2 years of school. It also gave me 3 years to find any scholarships to which my daughter might apply (she is not a National Merit Scholar, as was her older sister, so this was a challenge). However, we did find art scholarships, music scholarships, and even writing scholarships, all of which she won. Then she won a grade-based scholarship (the community college equivalent of Phi Beta Kappa). With this mish-mash of cheap education, scholarships, and scrimping on my part, I located a fine private college from which my second daughter graduated with a BS, no loans, and no debt. Now, I strongly suspect you will also criticize me because my second daughter went to “Chico U,” instead of an Ivy or Ivy-equivalent. But I can assure you she had a quality education (with a 1:15 student professor ratio in most classes (no TAs–all professors). And she is completely debt-free. I’m kind of broke, but am back on the savings wagon, saving toward things I need now. Okay, if I were your parents, I would have made my kids pay their own way. But even so, in this economy, I’m proud I was able to get both girls through school, without either being stuck with debt. Now, if only they can find their dream jobs. They are following your advice (lots of coffee drinking and consulting with retired mentors going on around here), and working non-dream jobs to support themselves in the meantime. I also graduated from college at 19, but not be testing alone. It certainly helped shorten the process, though! This post was extremely inspiring. I’m in the midst of 2 contrarian movements. Starting with what led me to this post, I started a family early in life and skipped college even though I was supposed to be the family poster child for being a first generation college graduate. I’ve been in the workforce ever since but I’ve always wanted to earn a degree for my own satisfaction. I’m about to be 39 soon so of course, I have naysayers claiming I’m too old, it’s pointless now, etc. I’m determined more than ever and I thank you for these inspiring words. My 2nd movement is my calling to be a filmmaker. With little education and becoming a social introvert, it looks implausible to many but I believe with all my heart that it’s what I’m meant to do and I believe I can do it without going through the standard protocol.